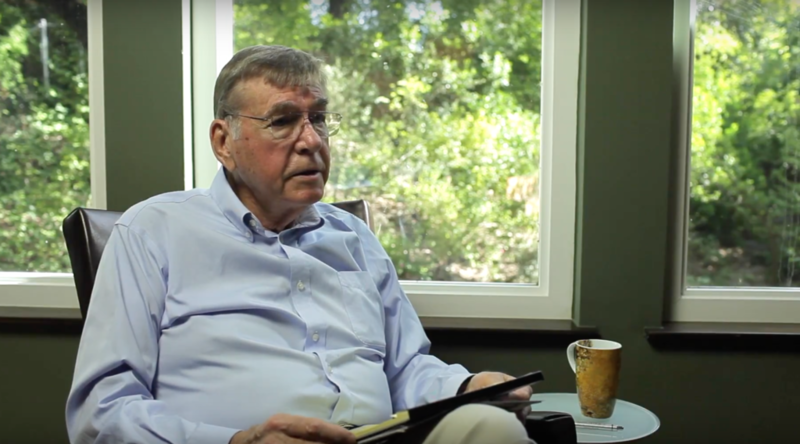 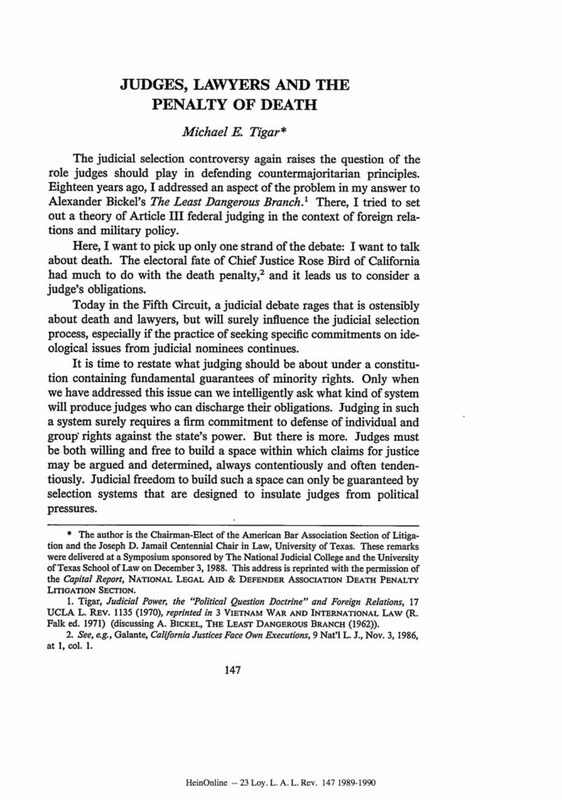 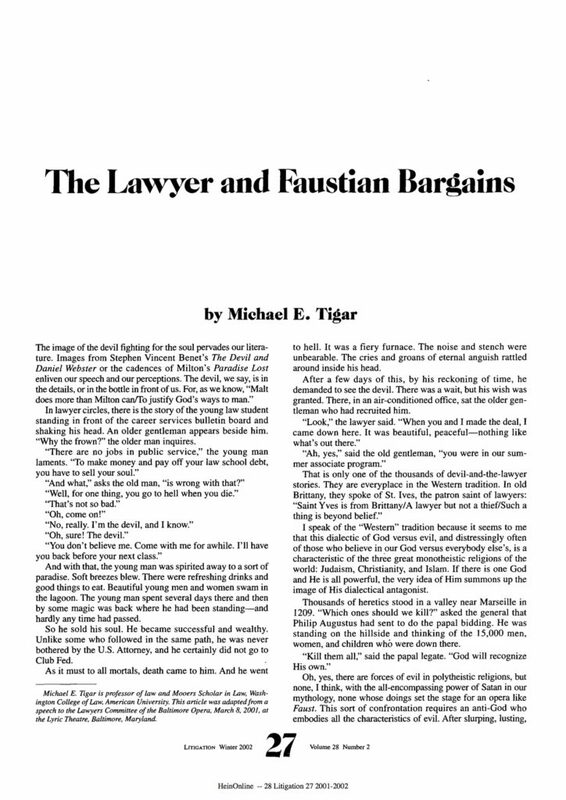 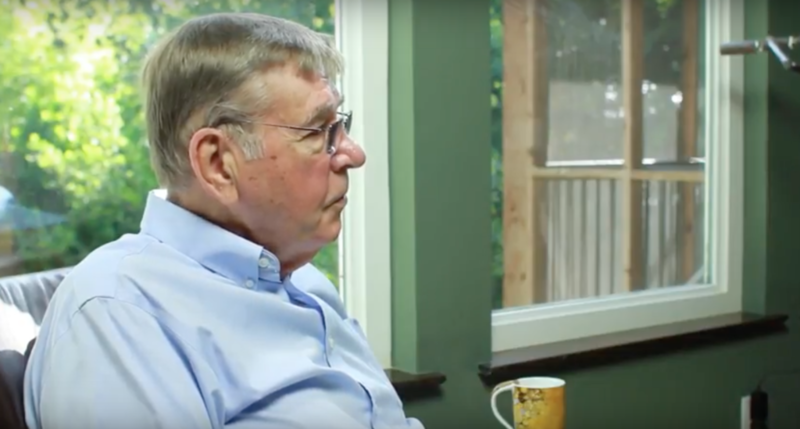 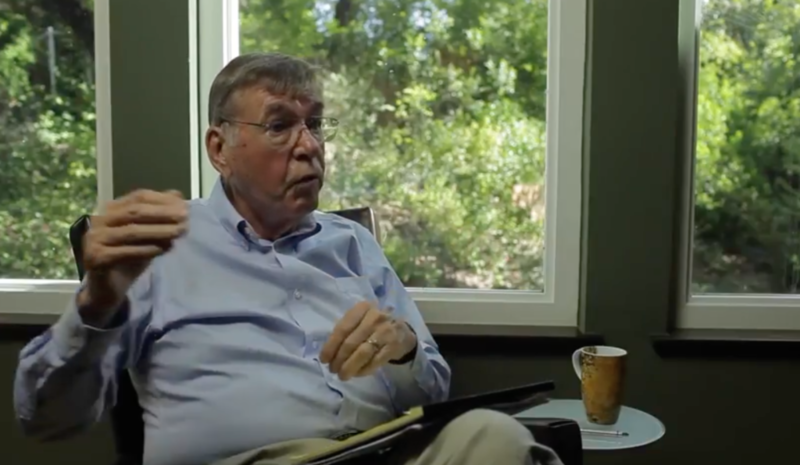 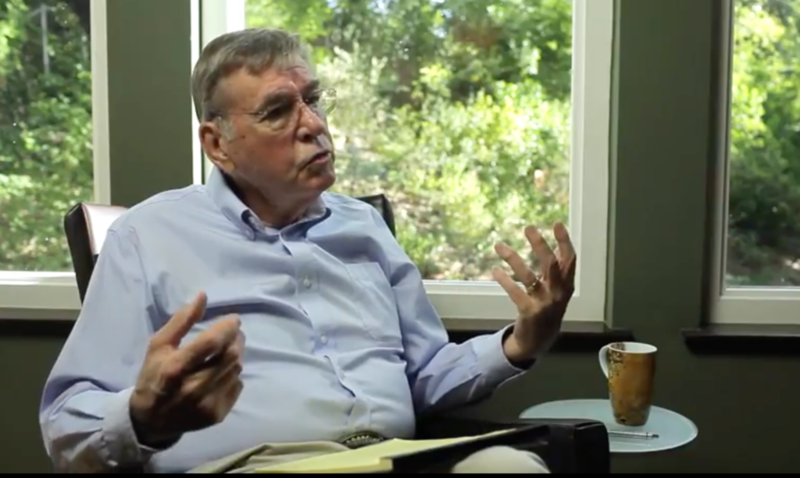 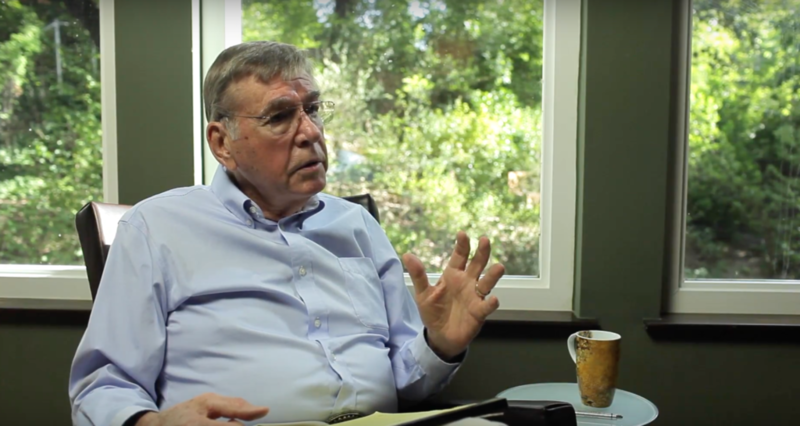 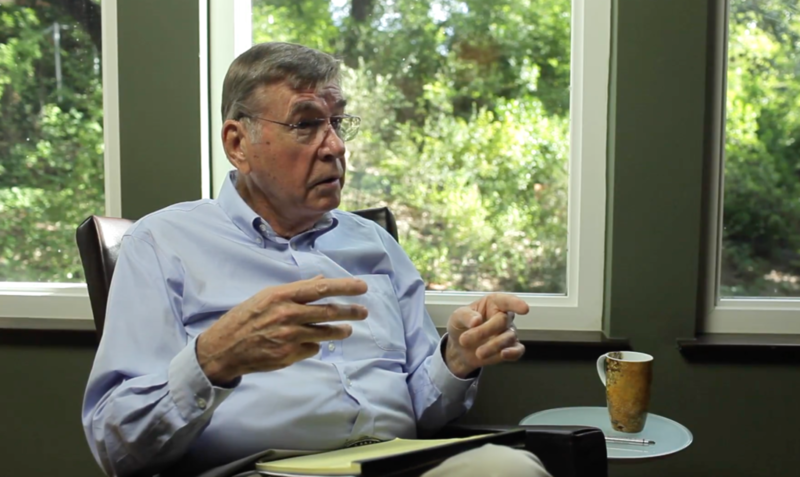 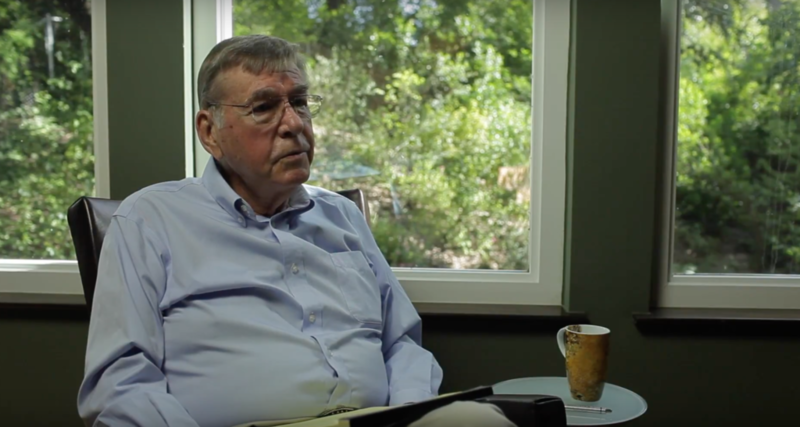 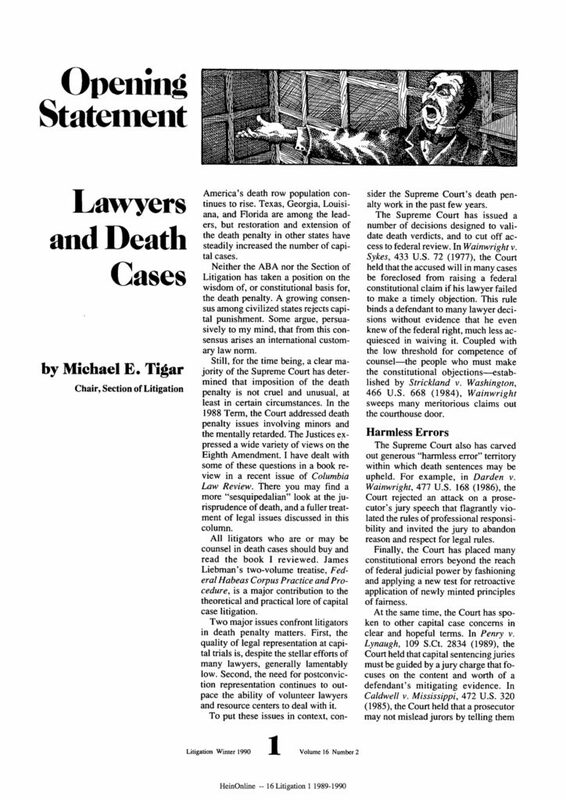 Beginning in the late 1980s, Michael Tigar began to write in opposition to the death penalty, which he believes compounds other forms of legal and social injustice. 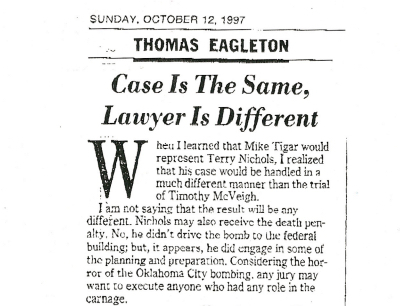 He worked on a number of death penalty cases throughout his career, the most famous of which is his defense of Terry Nichols. 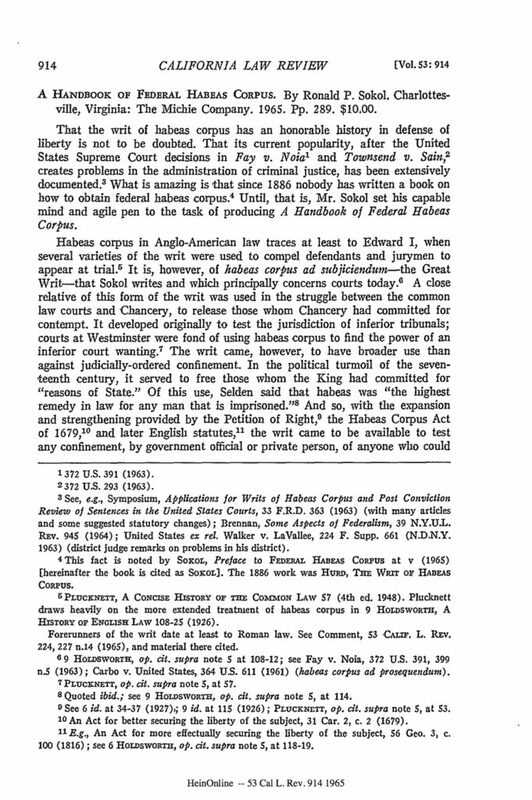 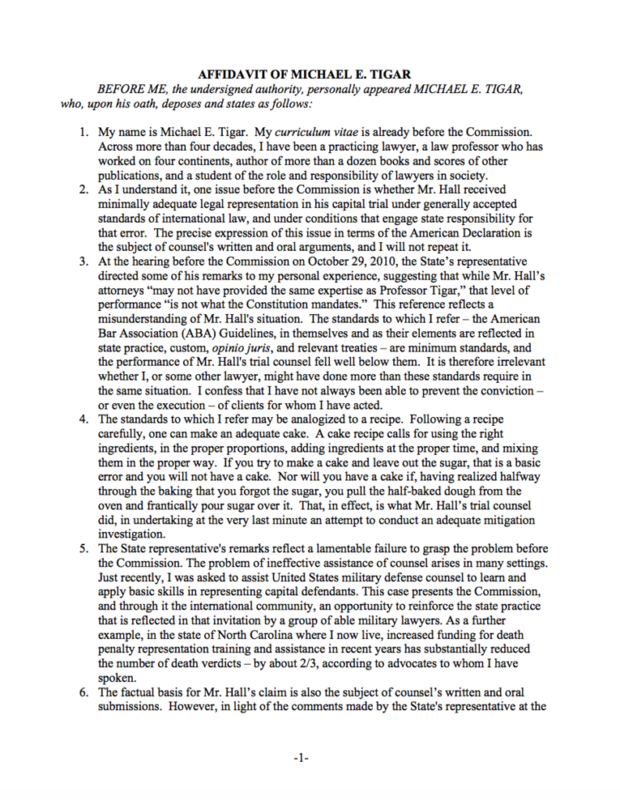 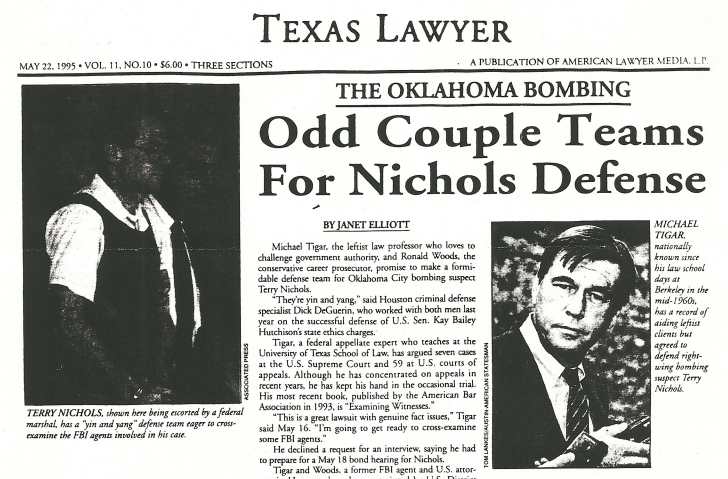 Most of the materials in this section are from or about the Nichols case. 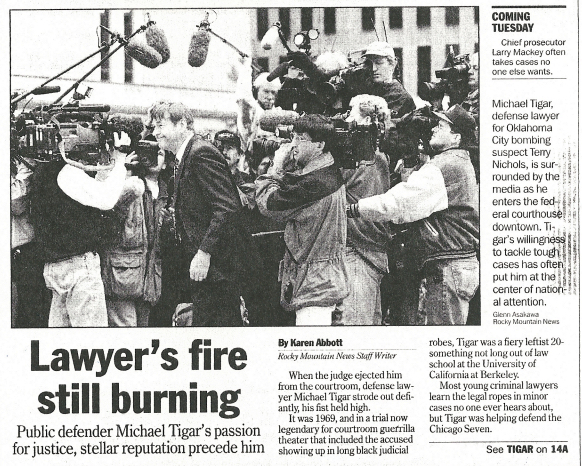 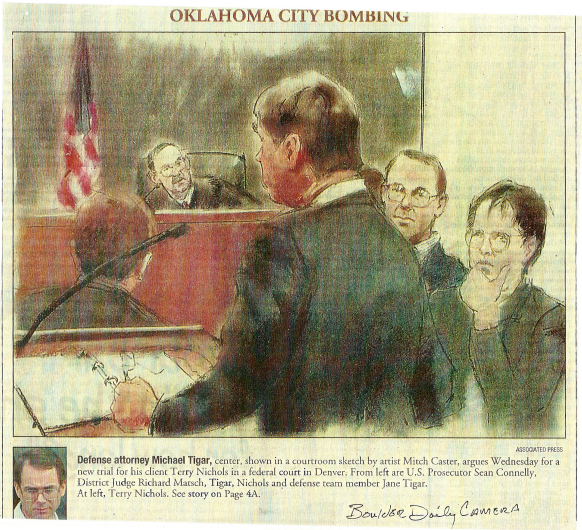 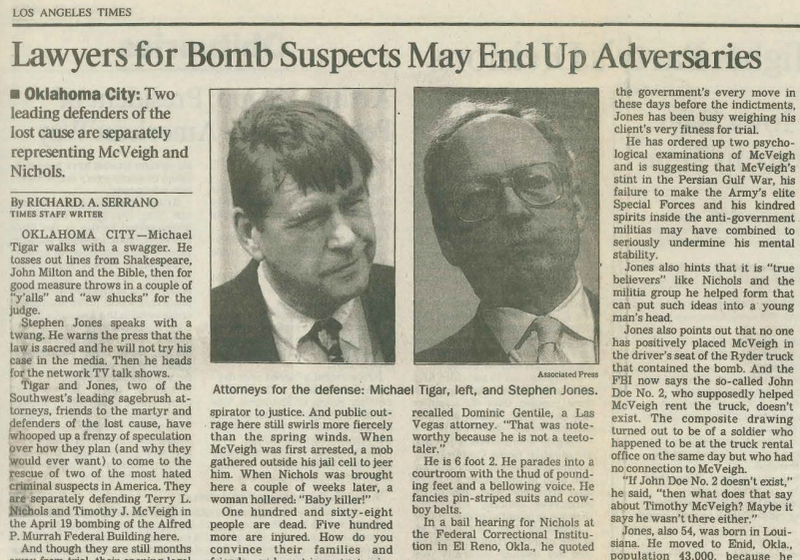 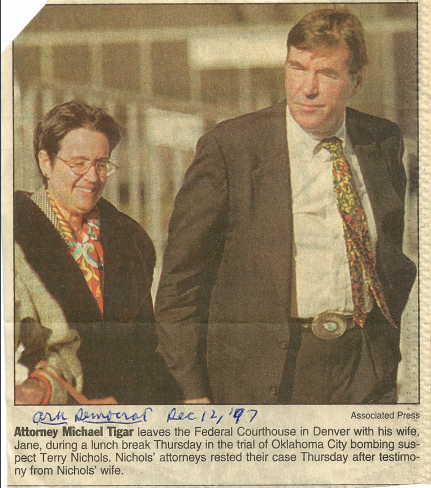 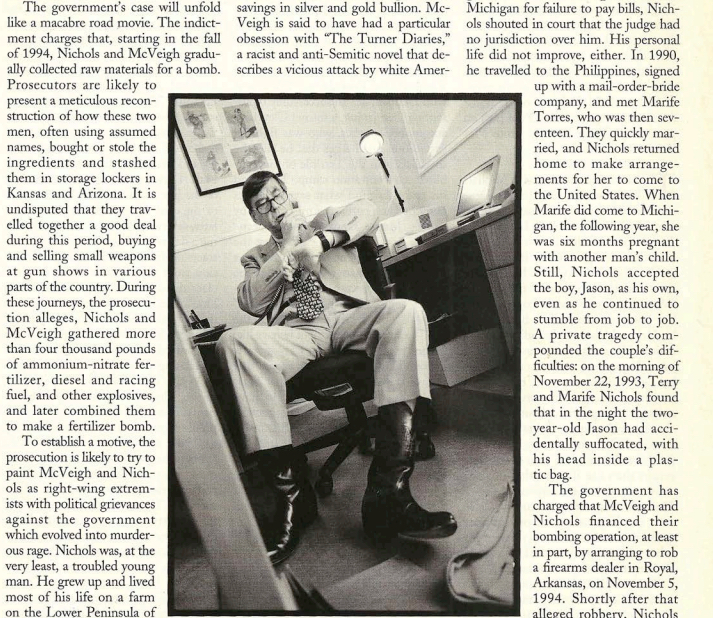 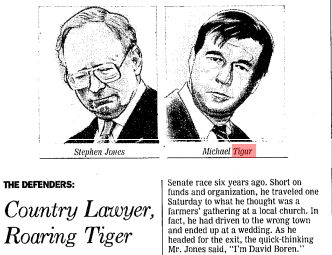 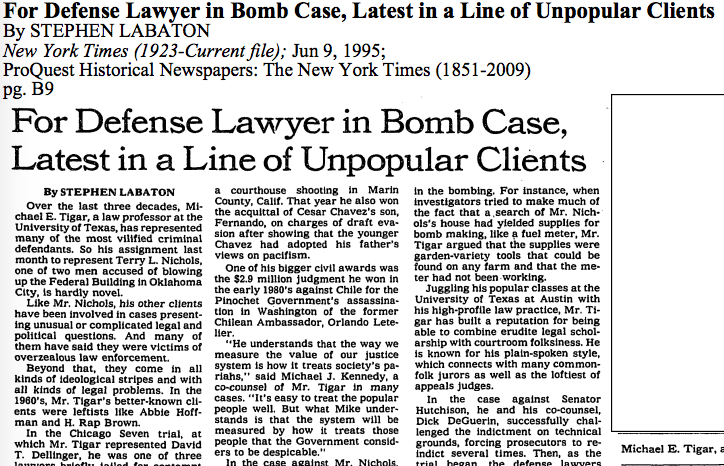 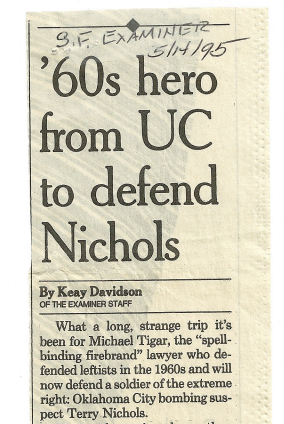 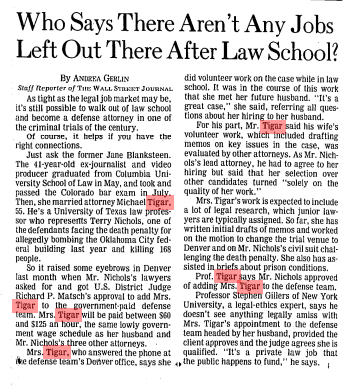 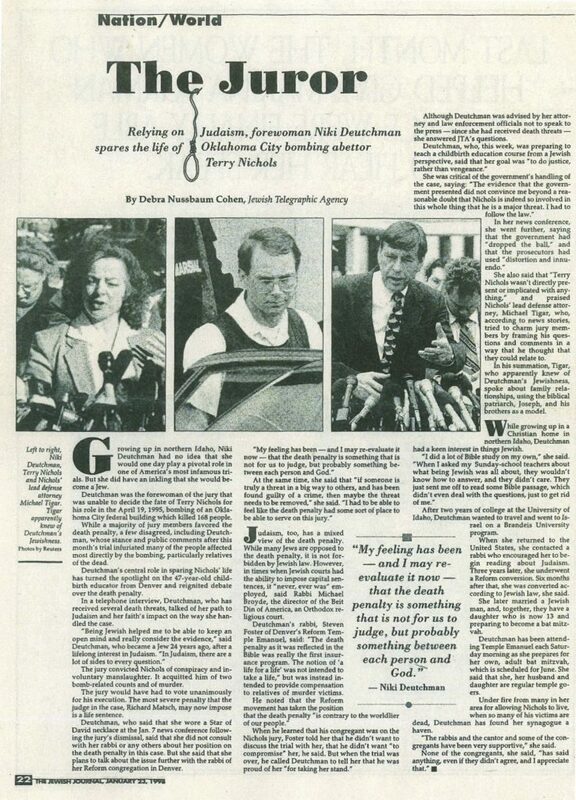 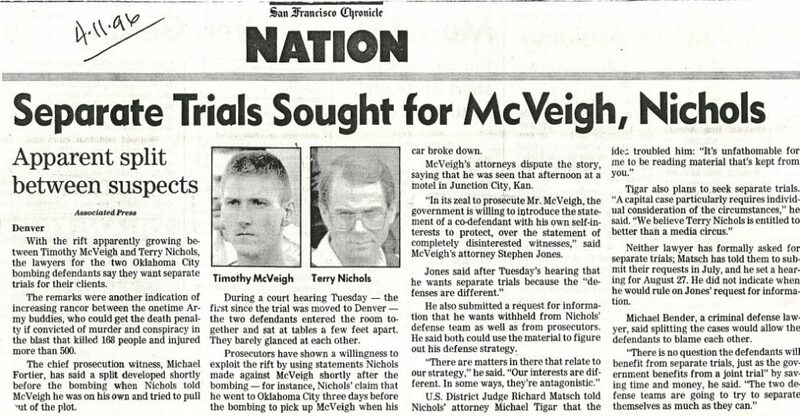 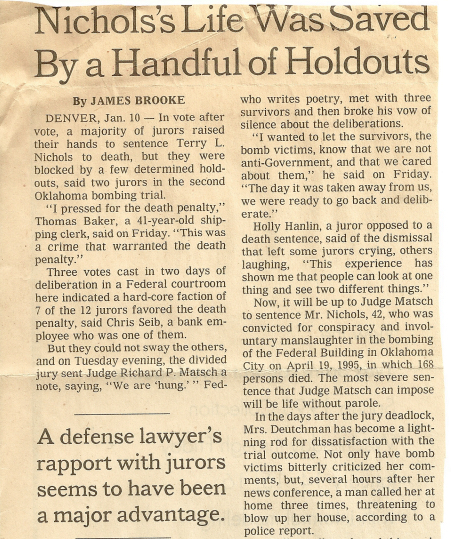 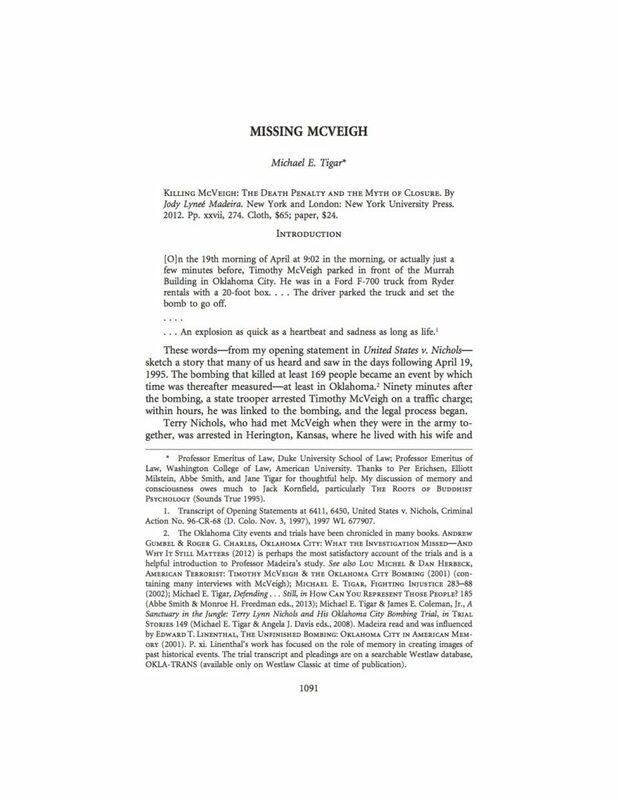 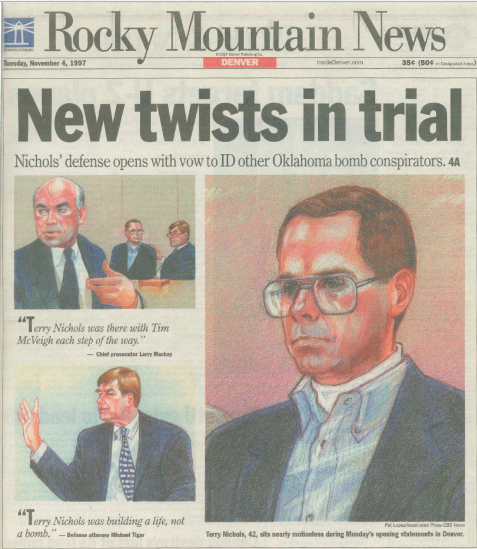 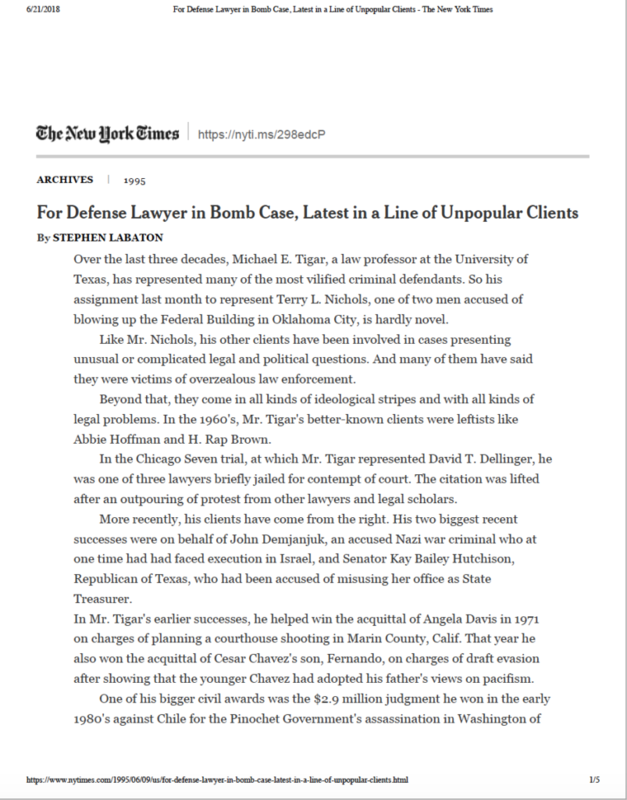 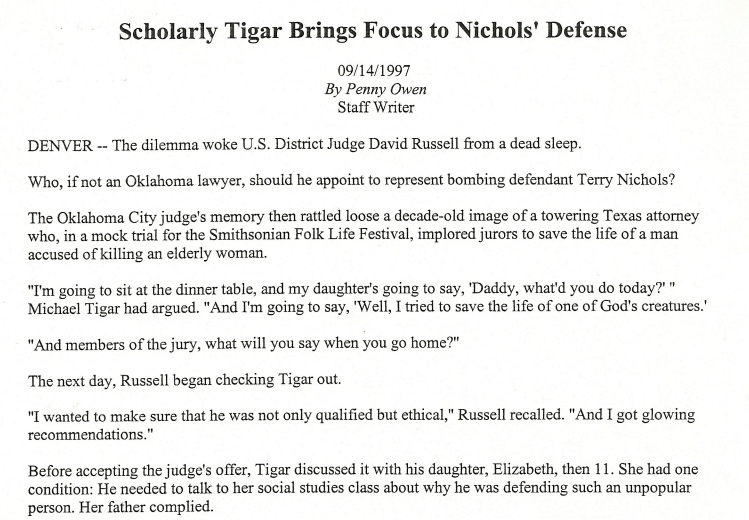 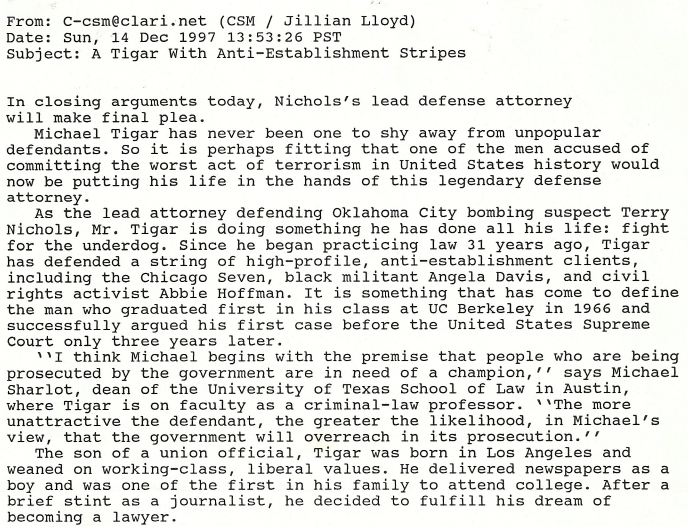 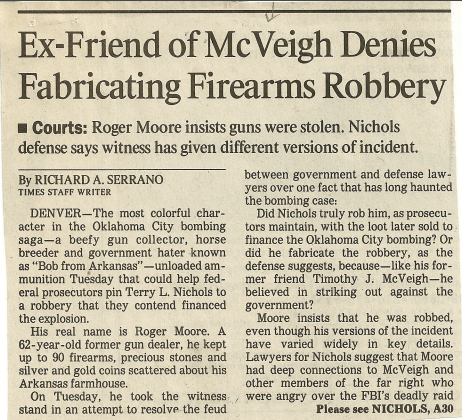 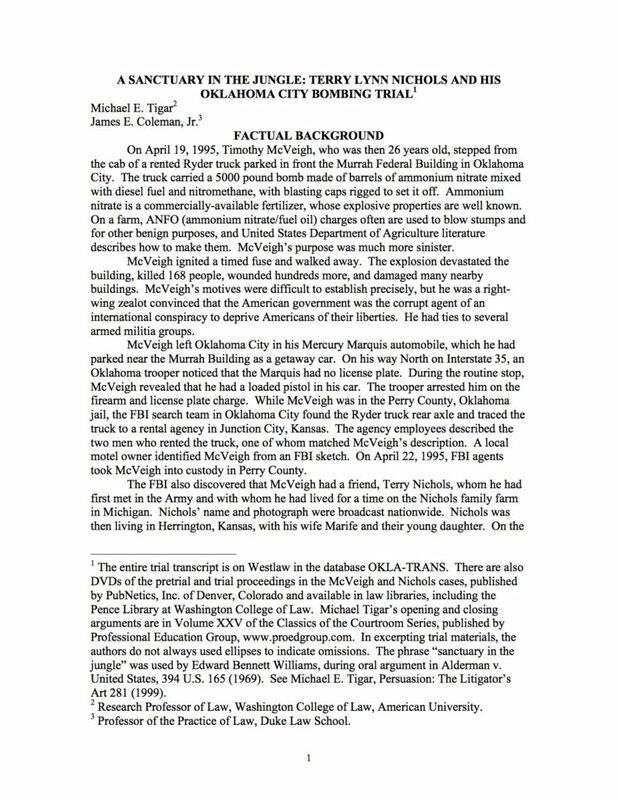 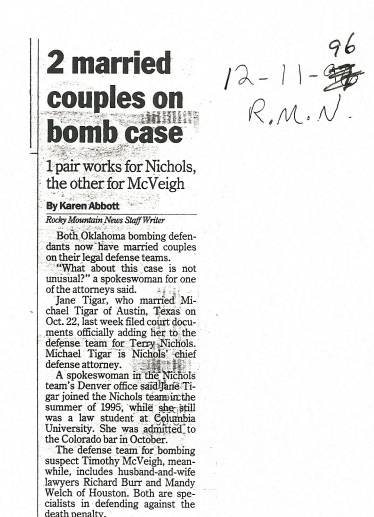 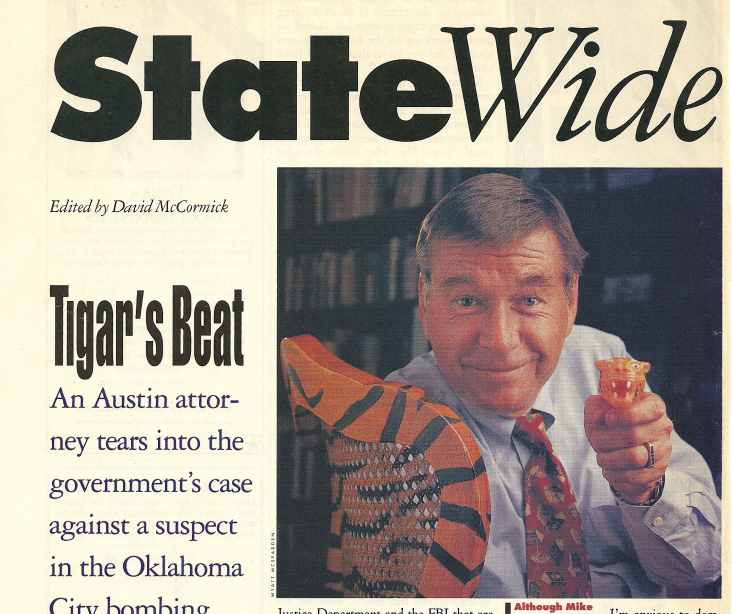 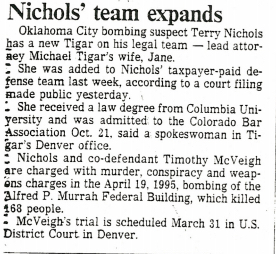 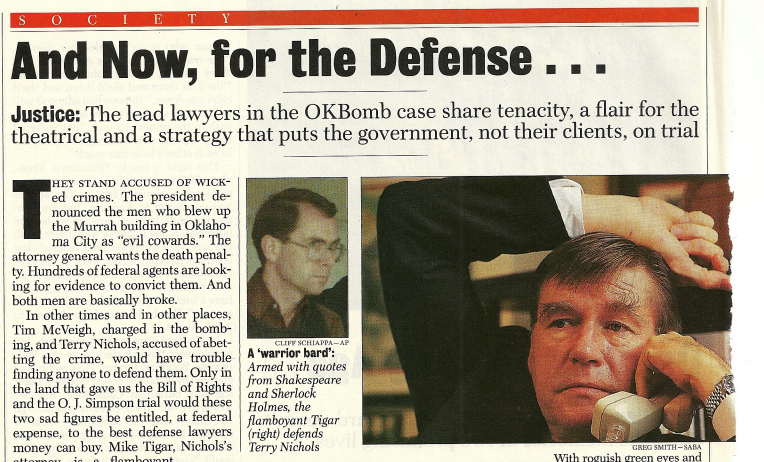 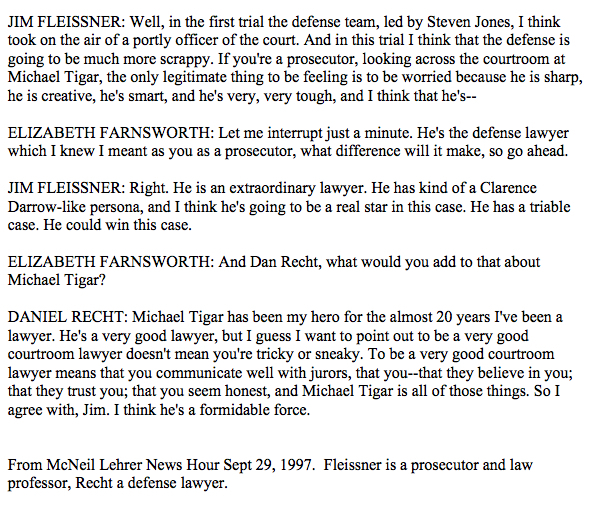 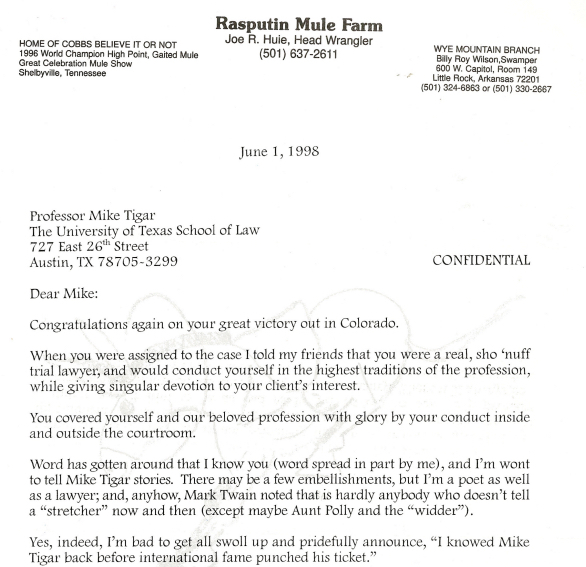 The case provided the opportunity for a number of biographical profiles to be written about Tigar and other attorneys involved in the case, including Jane B. Tigar, Stephen Jones, who represented co-defendant Timothy McVeigh, and Ron Woods, a former prosecutor who helped Tigar with the Nichols defense. 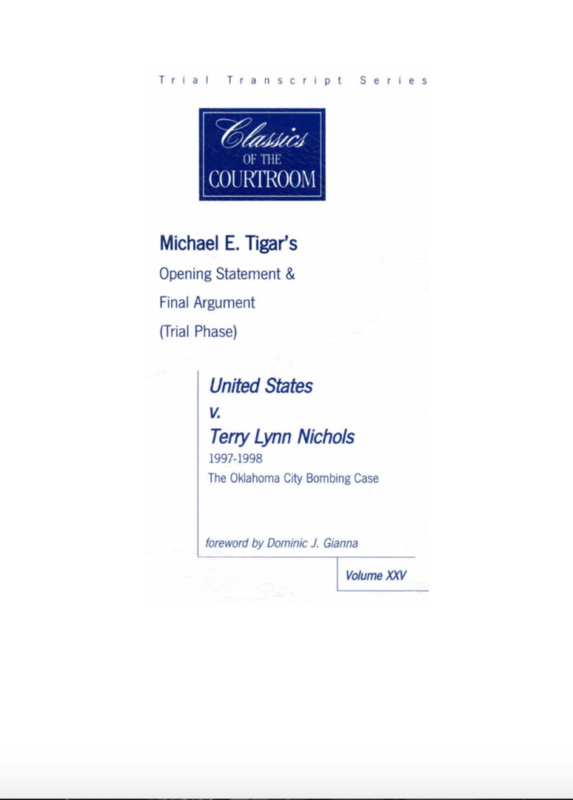 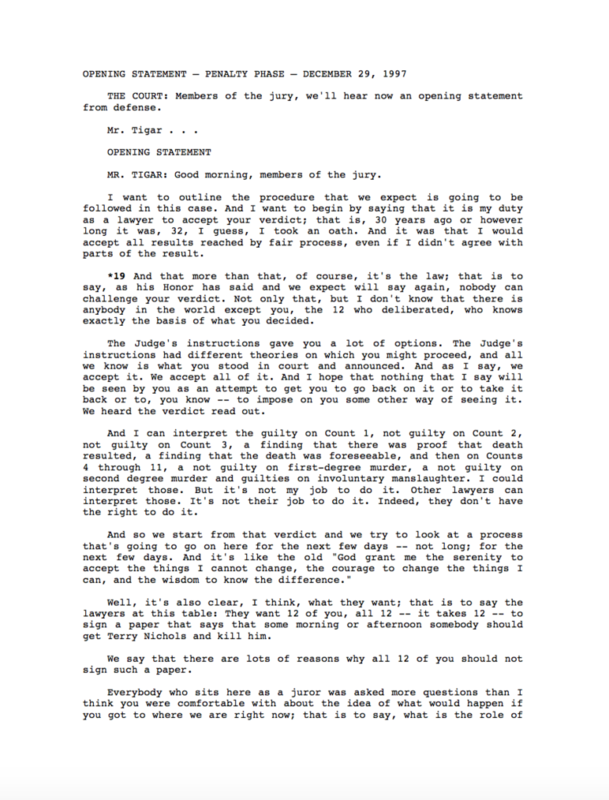 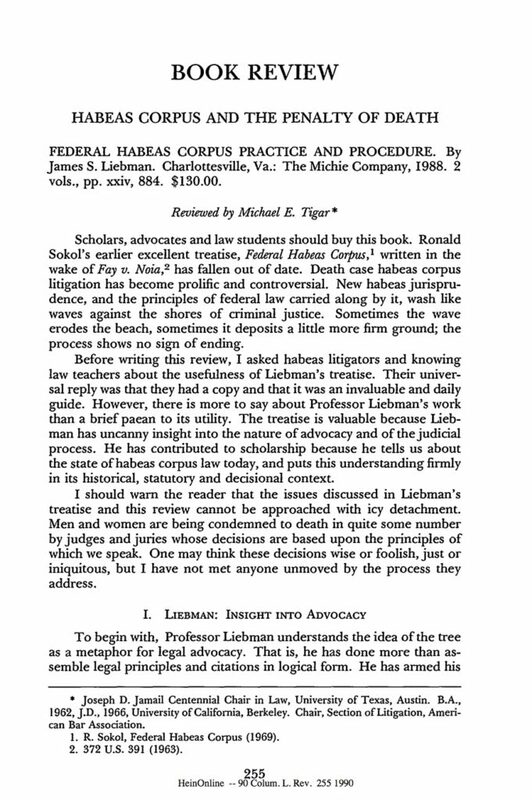 Audio recordings from Tigar’s oral arguments in two other notable death penalty cases, Graham v. Collins and Johnson v. Texas are also included in this section. 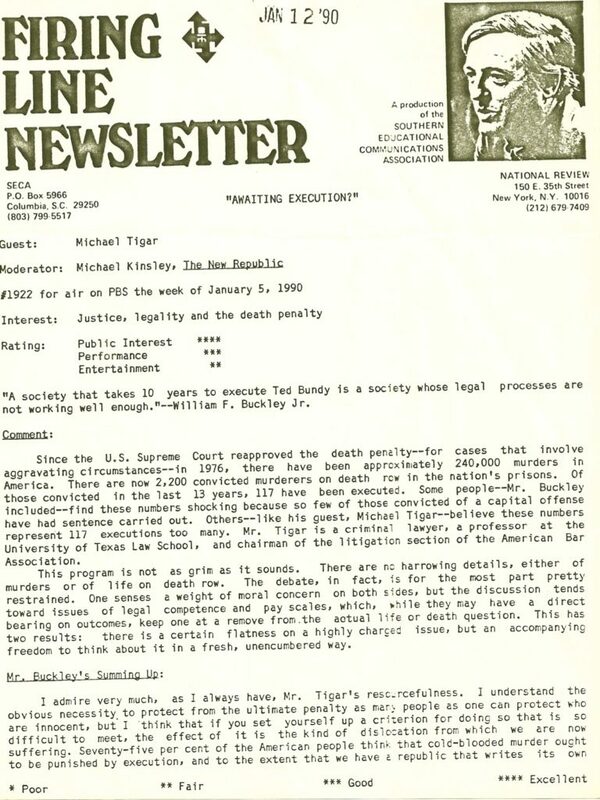 The death penalty was a significant topic of discussion during the oral history interview we conducted with Tigar in August 2016, a number of clips from which are included in this section. 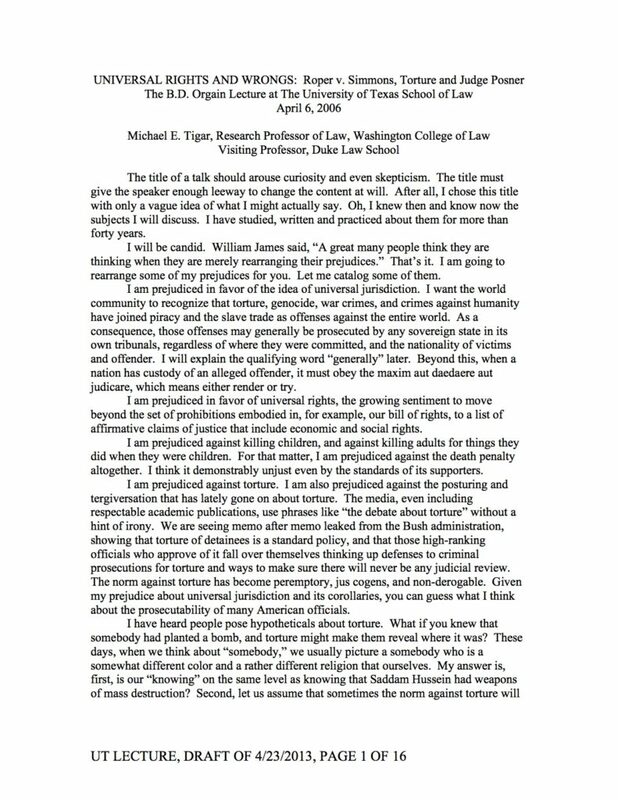 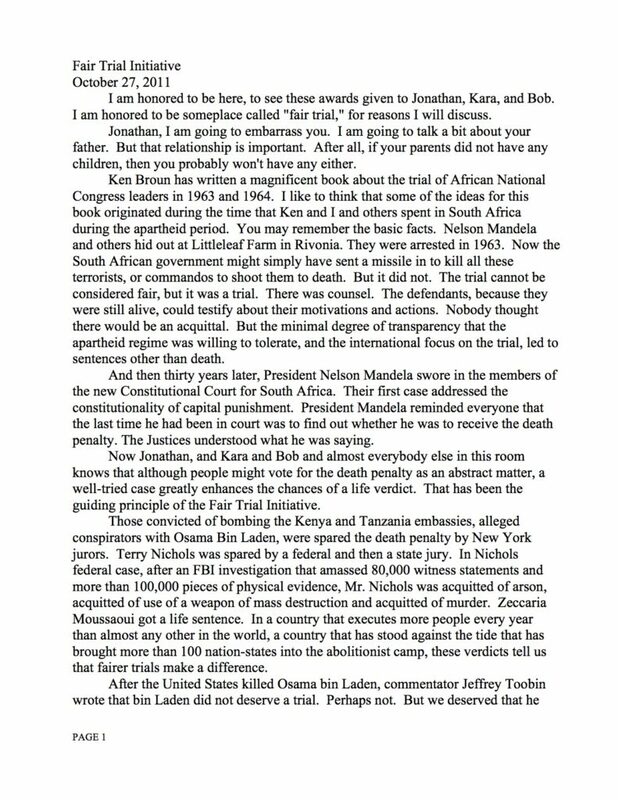 In one, he expounds upon the connections between racial injustice and the death penalty.